Quirky is trying to remove some psychological barriers to home automation, adding new devices with a low up-front cost. The new lineup under Quirky's Wink brand include a $40-and-up multi-purpose sensor, a $50 connected wall outlet and an $80 thermostat, and they all place nicely together using a $50 hub. 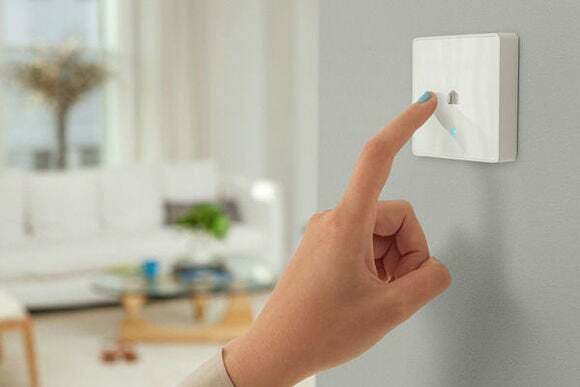 It's a major expansion for a platform that been relying heavily on third-party devices such as the Nest thermostat and Schlage locksets. Overflow ($35): A moisture sensor that can remotely alert users to standing water or flooding. Tripper ($40): A pair of battery-powered window and door sensors that can send alerts to a smartphone or trigger other devices, such as lights or air conditioning. Spotter UNIQ ($40 and up): A circular device that houses up to four sensors for things like temperature, humidity, ambient light and sound. Each sensor adds $10 to $20 on top of the $30 base price. 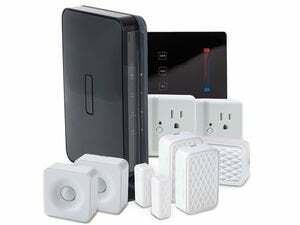 Outlink ($50): An outlet that monitors energy use and can be controlled and scheduled remotely. Tapt ($60): A light switch that can also trigger other devices such as blinds and door locks. Norm ($80): A smart thermostat that can be controlled and scheduled with a phone or tablet. It also interacts with other Wink sensors to adjust temperatures based on which rooms are being occupied. Ascend ($100): A controller for existing garage door openers, with the ability to grant access to family members and guests. 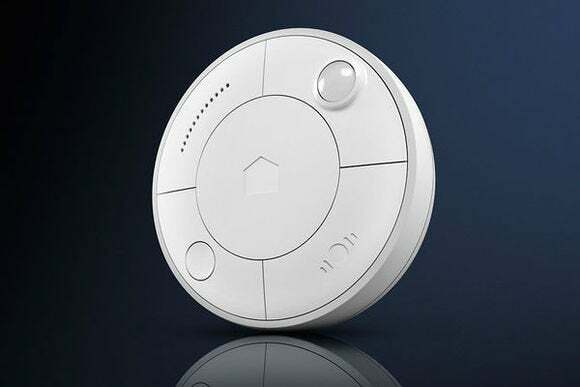 All told, it seems possible to start building a smart home with some fairly diverse capabilities for a few hundred bucks, but keep in mind that all of these devices except the Spotter sensor require either a $50 Wink Hub or a $300 Wink Relay to connect with phones and tablets. A current promotion from Quirky lets buyers get the Hub for free or get $50 discount on the Relay with any purchase over $75. Quirky's Spotter UNIQ comes with a choice of up to four sensors for things like ambient lighting and motion. Most of the new gear won't be shipping until late December, and the water sensor isn't due out until February. It's all available for pre-order through Quirky's website, and should also show up at Home Depot. Why this matters: Quirky's smart thermostat is significantly cheaper than competing products like Nest and Ecobee, and its array of sensors and switches either match or undercut the competition. Quirky has also avoided bundling its products, so users have a fair amount of flexibility in figuring out what they want. It can be intimidating to build a smart home with so many competing, and unproven ecosystems, but that commitment starts to seem less daunting as the buy-in cost decreases.